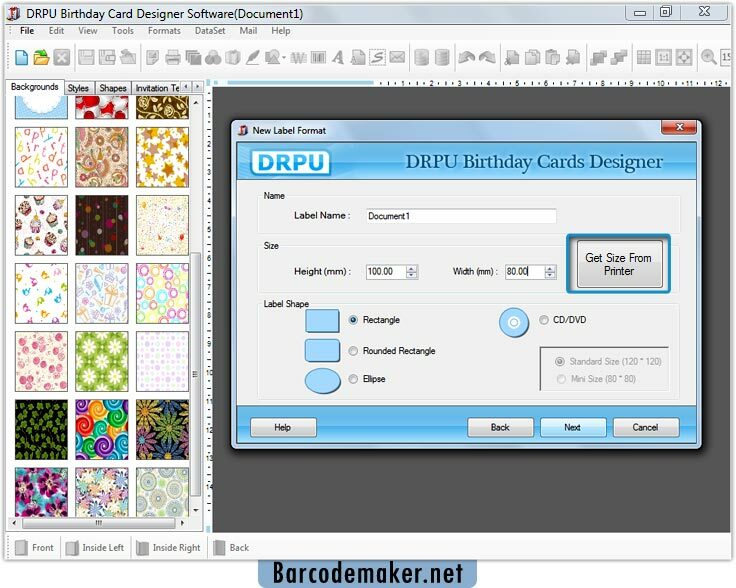 Enable “Create Invitation Card” and click on “Next” Button to design birthday invitation cards. 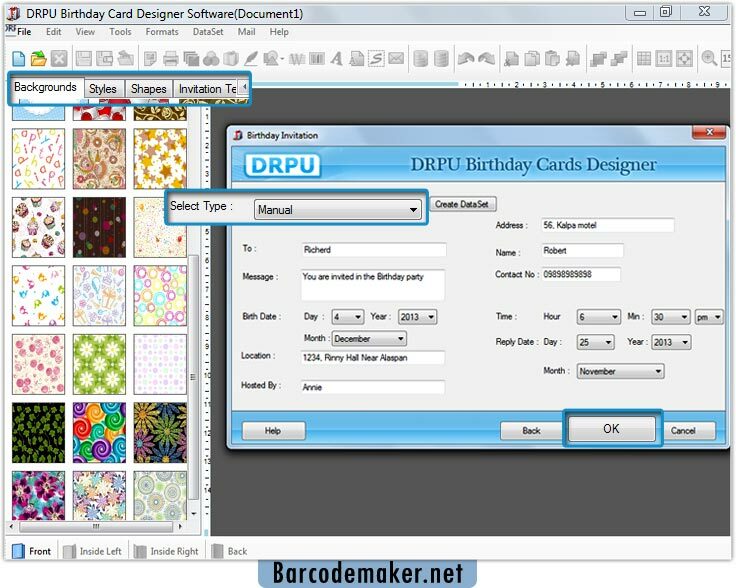 Click on Get Size from Printer button to get card size from page set up. 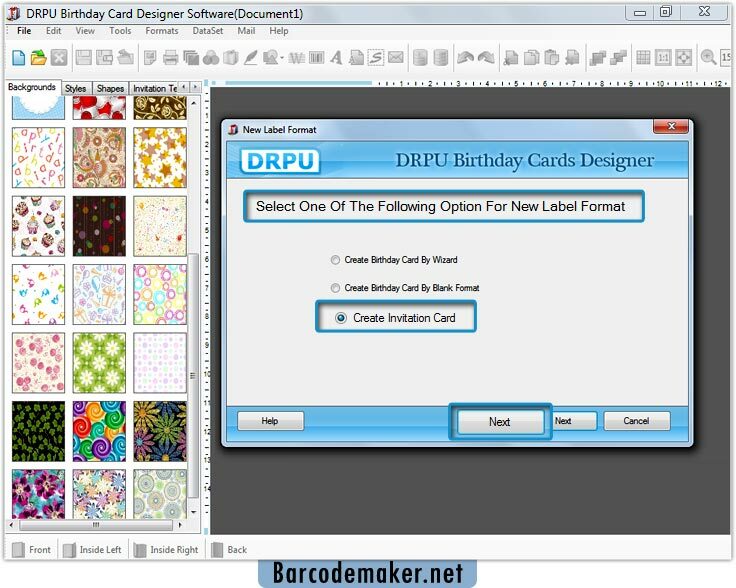 Enter invitation card details (like Message, Date, Time , Location etc) manually or using Dataset series option.